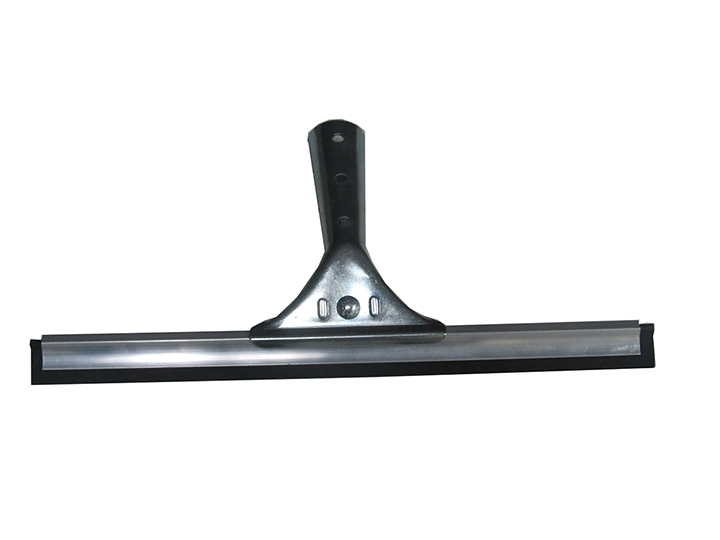 Aluminum window squeegee that does not need clips or tools to quickly change the snap-in-blade. The socket is easy to reposition on the channel for longer reach or working around objects. The long handle socket is easy to hold and fits a tapered handle. A special blend rubber blade, made just for window squeegees, provides a streak free, long-lasting product. A newly designed socket clip assures a no slip grip blade.